The first_year PhD presentation day is a tradition of Landscape Surgery. I attended it last year as a audience when I was a MA student, and I am honored to be a speaker in it this year. For the LS presentation, I created a slide show to help demonstrate my PhD (available here), which can also give you a taste of my PhD. 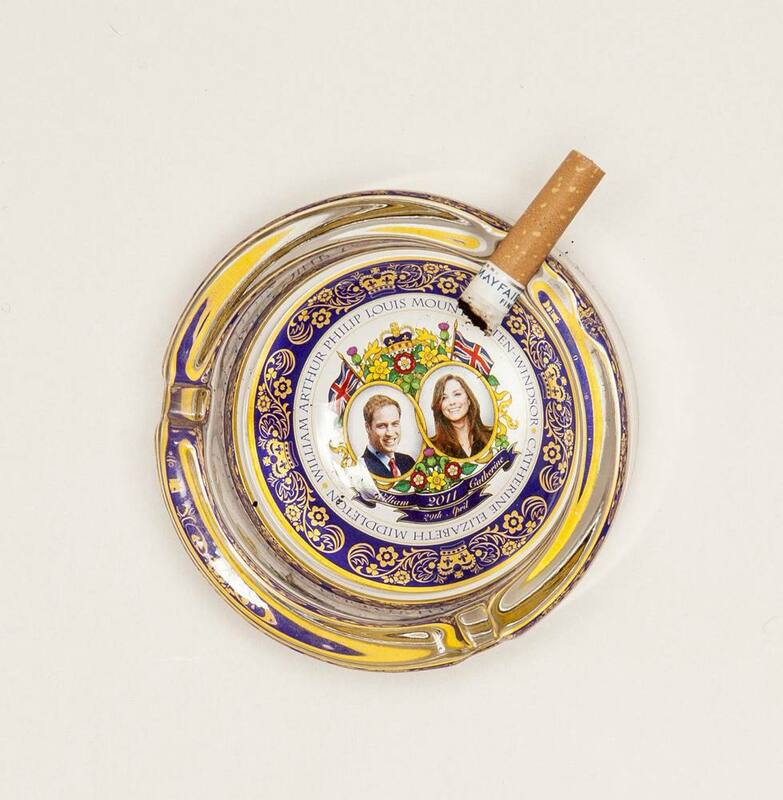 This project looks at a widely_loved object: souvenir. 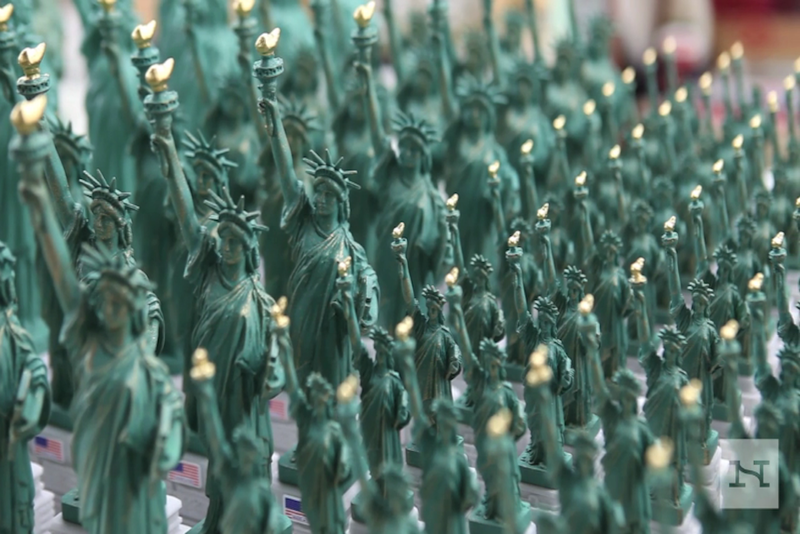 Many people keep souvenirs as reminders of a person, place, or event. 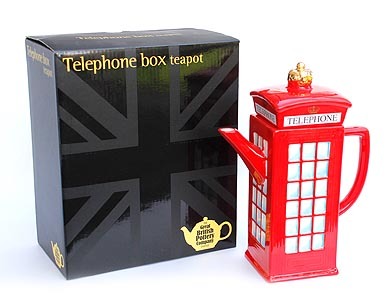 Souvenir is inherently geographical based on its nature. Souvenir’s mobility is its most outstanding geographical characteristic: souvenirs move from the place of tourism to the place of home; from ‘extraordinary’ place to the world of the ‘ordinary’. 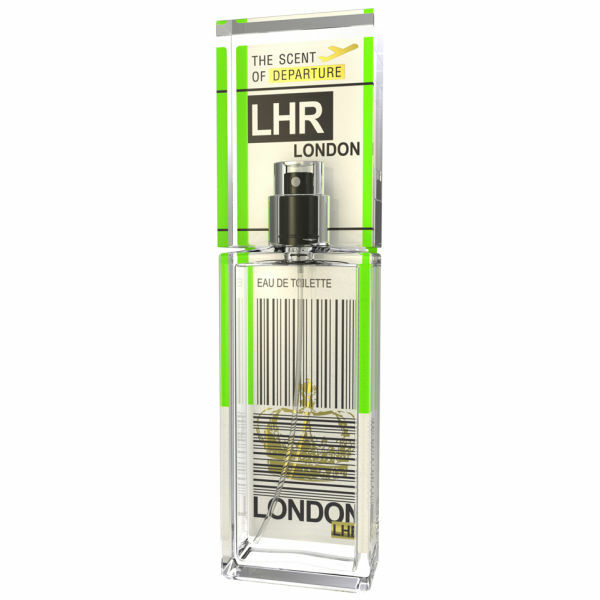 Although souvenirs take on many forms, functions and representations, they are often formally associated with a specific geographical place. Studies related to souvenirs in SCG are rare. Morgan & Pritchard (2005) studied souvenir & self-identity; Hashimoto & Telfer (2007) talked about authentic geographical souvenirs in Canada; Ramsay (2009) had an impressive field work of souvenir production sites in Swaziland; while Peters (2011) studied banal souvenirs’ home placement. Souvenirs studies have potential for exploration. My PhD project ‘Souvenir Geographies: Authenticity and Place Making’ focus on souvenirs on two way: one is to explore how souvenirs’ authenticity and meaning change along with places; secondly it looks at how souvenirs shape places in the terms of place making. This process is revealed by following souvenirs in a linear route: from the making sites, tourist sites, transport sites (AKA non_places: airports, train stations; Augé, 1994) and then to the tourists’ homes. In this quadruple layer process, souvenir’s spatiotemporal peculiarity makes it a great object to follow, and to analysis from a geographical perspective. 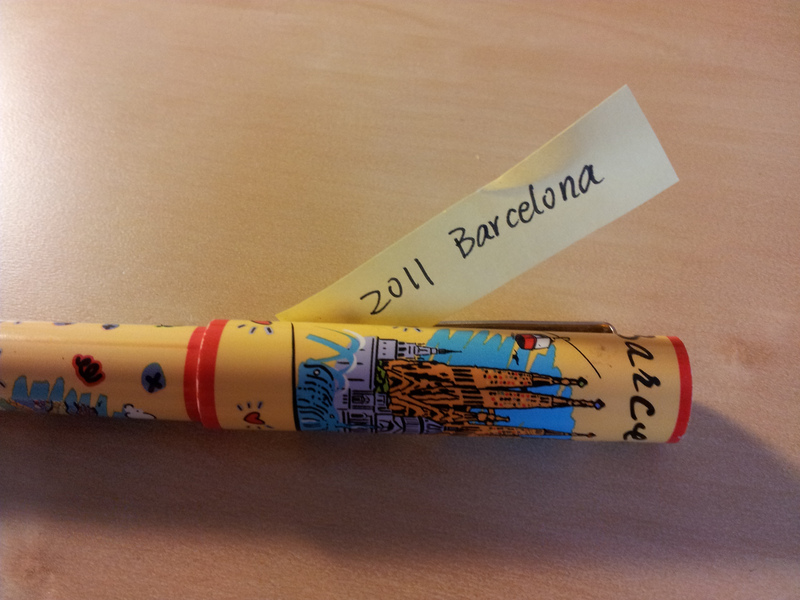 Putting my Cultural Geographer’s hat on, I analysis souvenirs based on their spatial movements. In the terms of methodology, ‘following the thing’ and visual ethnography are the most basic and key methods used through out the whole project. Apart from these, semi_structured interviews, using postcards as a method, participant observation, keeping fieldwork diary: text, image and video, and blogging as a method (project blog) are also used in this project. When it comes to field work, two fields are considered for this project. The first one is UK, and the other is China. In each case, equal factories, tourist sites, transporting sites and homes will be visited and same number of postcards will be handed out. Souvenirs studying is an innovative and novel topic area in Cultural Geography, which promises to contribute to discussions in a range of geographical topics: material culture, place and, in particular, tourism studies. I would like to invite you to participate in this original research project. You should only participate if you want to; choosing not to take part will not disadvantage you in any way. Before you decide whether you want to take part, it is important for you to understand why the research is being done and what your participation will involve. Please take time to read the following information carefully and discuss it with others if you wish. Ask me if there is anything that is not clear or if you would like more information. This project is committed to empirical research, aiming to explore how the tourist souvenirs ‘make’ places in a quadruple-layer: making site, tourist site, non-place(e.g. airports) site and tourist’s home. The process of place making by tourist souvenir is revealed by following the tourist souvenirs. Based on our previous contact, I take you willing to take part in the Home Placement studies. So now you are reading the participant information for just Home Placement studies. When and Where Will the Study Take Place? The study will take place in your home at a time that is convenient to you. l How Long Will the Study Last? It will take around 15to 25 mins for a participant to prepare a camera/mobile phone, take photos of his/her souvenirs and send the photos back to me. Please take photos of your souvenirs. Four kinds of photos are wanted. Firstly is a long shot, better showing your room environment and where you keep your souvenirs. 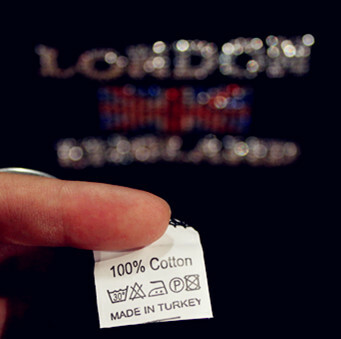 In this photo, the place where you store your souvenirs might be very small or does not show directly in the picture. For example, if you store you souvenir in a draw, please take a photo of your room; if you have a oven glove as your souvenir and you are using it, please take a photo of your kitchen. Secondly is a middle shot. 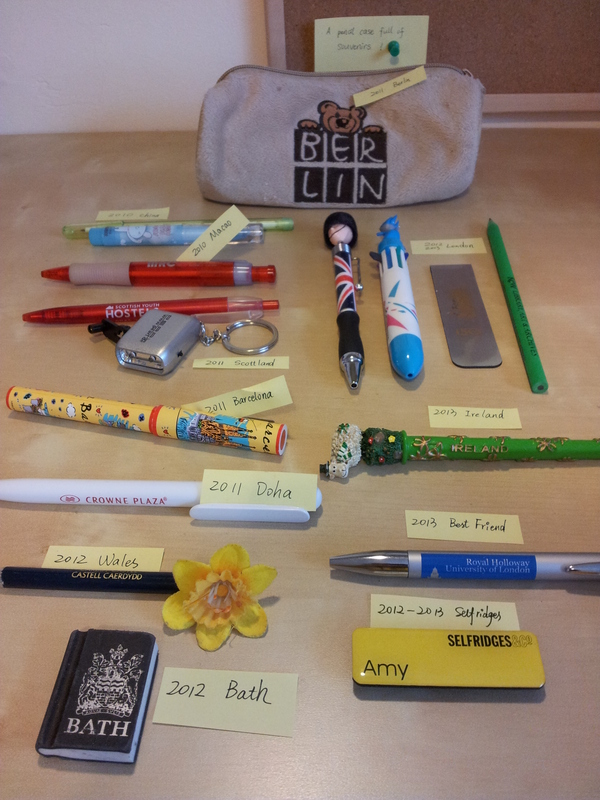 In this photo, please show me the placement of your souvenirs and its spational relationship with other souvenirs. For example, if you keep souvenirs in a draw, take a photo of all the souvenirs in this draw. 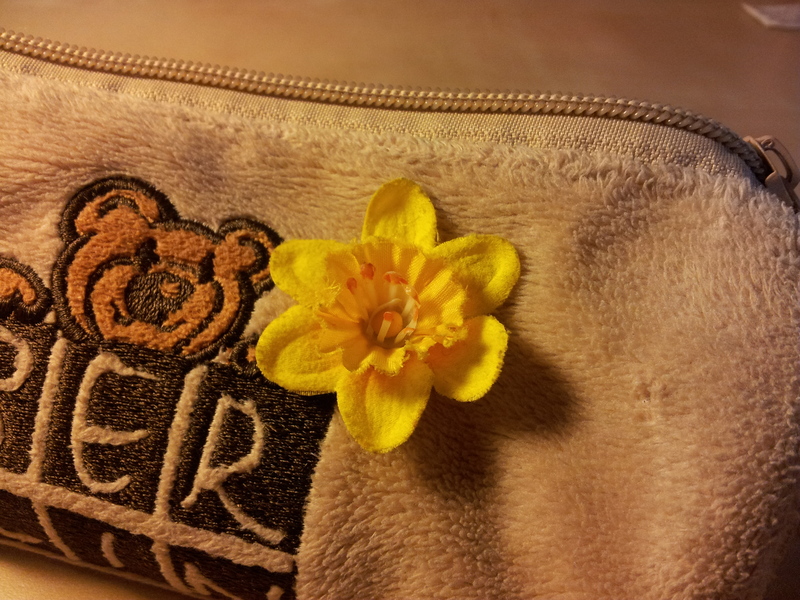 Thirdly is a close-up of the souvenir. 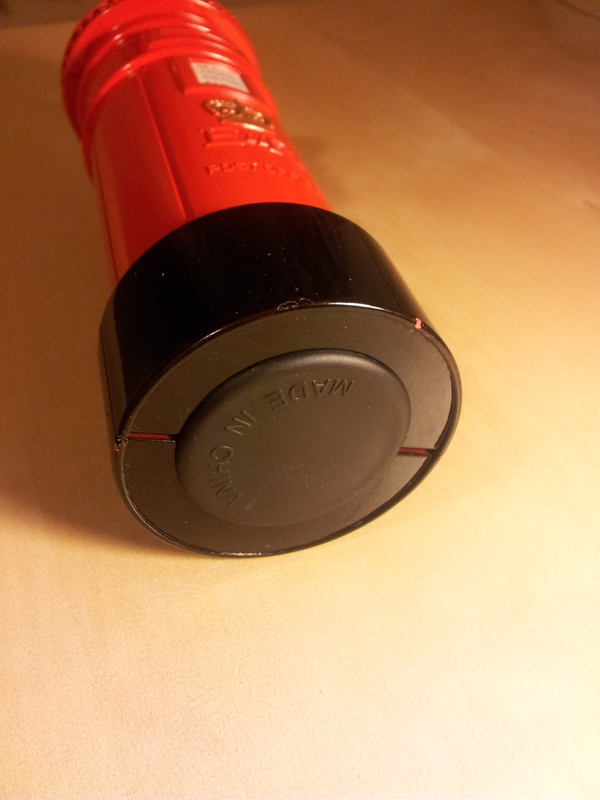 Please give me a close shot of the souvenir from which I can identify what is it. It will be better to have a fourth photo which is the label of the souvenir, showing where it is produced etc..
After taking the photos, please tell me the story of your souvenirs (I am sure you must have a lot to say about it). 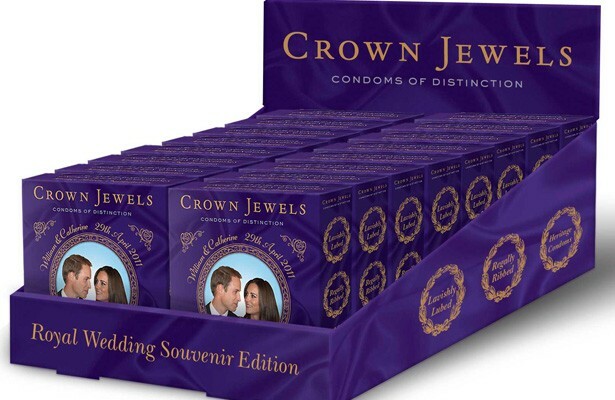 For example, you can start with WHAT, WHERE, WHEN, HOW, with WHO you got your souvenirs. l How would the images and information collected be used? The images and information collected will be used exclusively for my PhD project: Souvenir Geographies, including being part of my PhD thesis (presentations, publications), and being posted on the souvenir geographies blog if permitted. l Would personal details be anonymized? Participants’ locations, nationality, gender and age group are the information needed. Other personal details such as images, names will remain anonymised. Is there an opportunity to review how the information is being used in advance? I will create a doc. file for each participant and can send this word.doc to participants. Unfortunately, because of the amount of participants I will have, and time schedule, I will not send out my PhD thesis for participants to review, but all the information used in the thesis will be from the word.doc file. l Are you able to provide assurance of how the images provided would be stored and later destroyed at the appropriate time? The PhD thesis will be hand in to Geography Department in Royal Holloway, University of London in August 2016, and it will be stored there and its electrical version will be available to students in RHUL. The information on the project’s blog will also be there. None of them are planned to be destroyed. l Over what time period and by what means should I be collecting images? 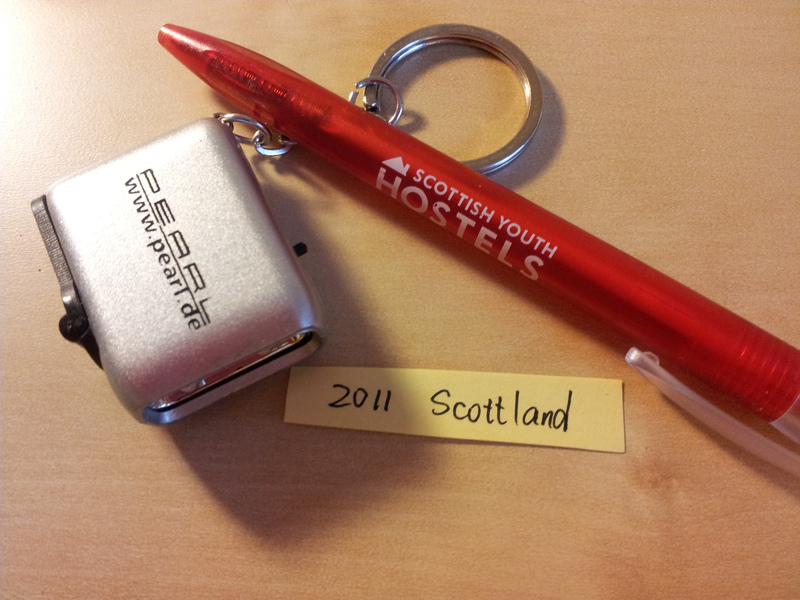 It is noticeable that souvenirs placement do change from time to time. It is totally up to you which souvenir (from which time) you want to share the information. I appreciate all the information provided. You can send me photos many time, just need to inform me. At the conclusion of the project, I will send you a newsletter describing the major findings and alerting you to any research publications we have generated from the project. l What If I Have Questions about the Project? Please contact me by email at email address, by phone at mobile number, or by post at university address. You can also contact me by messaging on Facebook, @ me on twitter, and commenting on the project’s blog. It is up to you to decide whether to take part or not. If you decide to take part you are still free to withdraw at any time and without giving a reason. You may withdraw your data from the project at any time up until the PhD thesis is submitted (August 2016). If you do decide to take part you will be given this information sheet to keep and be asked to sign a consent form. If you agree to take part, you will be asked whether you are happy to be contacted about participation in future studies. Your participation in this study will not be affected should you choose not to be recontacted. Department of Geography, Royal Holloway, University of London. Egham, Surrey, UK. TW20 0EX. 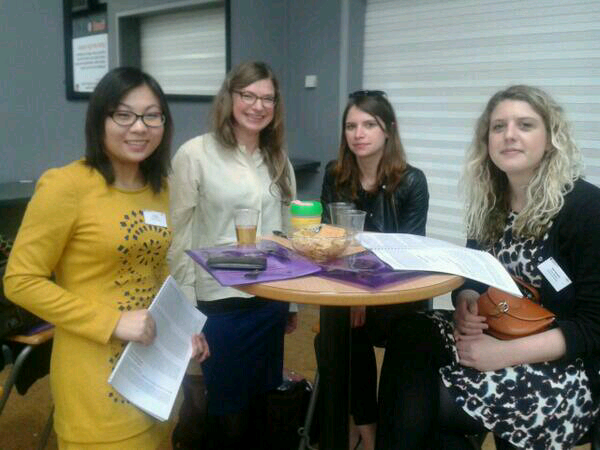 2014 RGS-IBG PGF Mid-Term Conference is held in Loughborough University on 14-15 April. This is my first time in Loughborough which is a lovely little town. 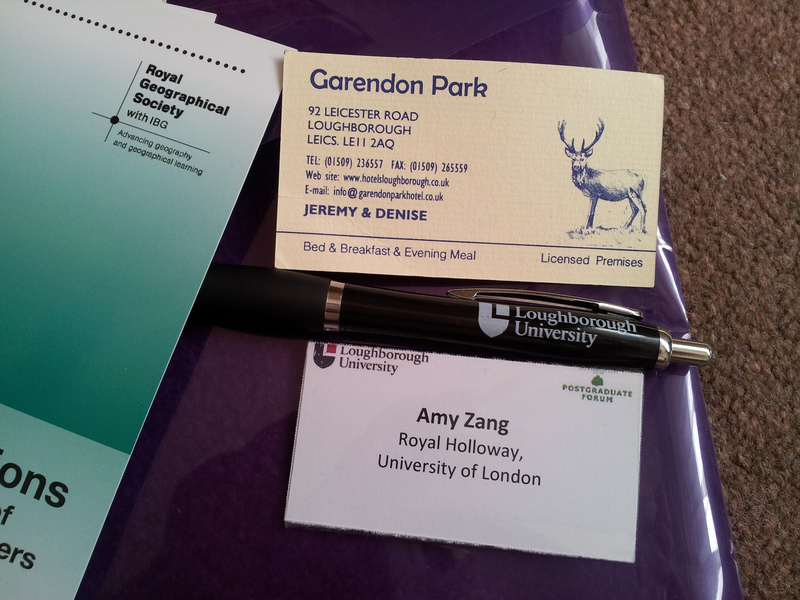 Loughborough is similar to Egham. Both of them university town, which have big university area and small commercial town centre. This two-day conference has around 80 presenters. 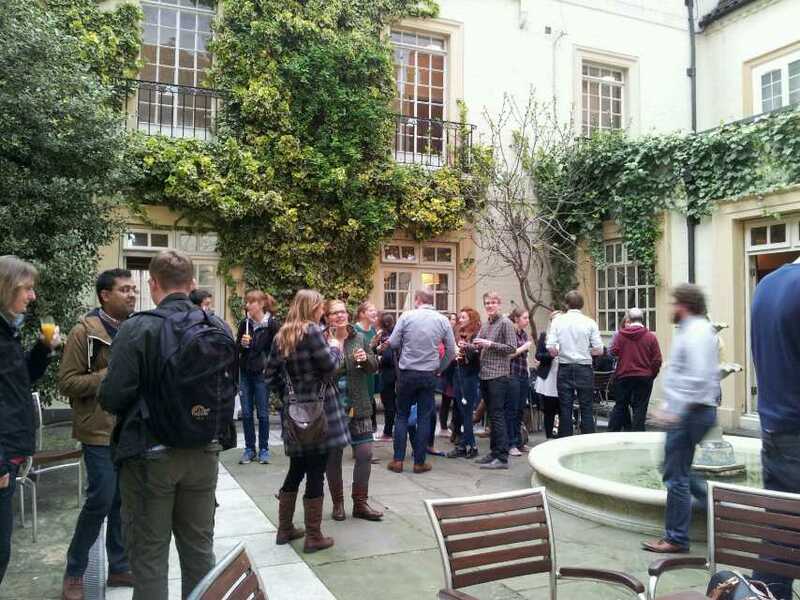 We started with Hilary’s warm up session, in which she encourage us to keep a PhD diary (identify your motivation of doing a PhD regularly) and attend more conference to communicate with people alike, and not alike. She mentioned a project ‘stories from the store’ in science museum interested me. Then is the presentations. There are massive sessions to choose from, and I am amazed again by the diversity of the topics in Geography. Some of them are focus on developing countries and some developed; some on old people and some on mobility of drunk teenagers (LOL); some on transportation and some on writing. Hannah, Miriam, Ella, Mel, Mike and Katie had their projects presented. 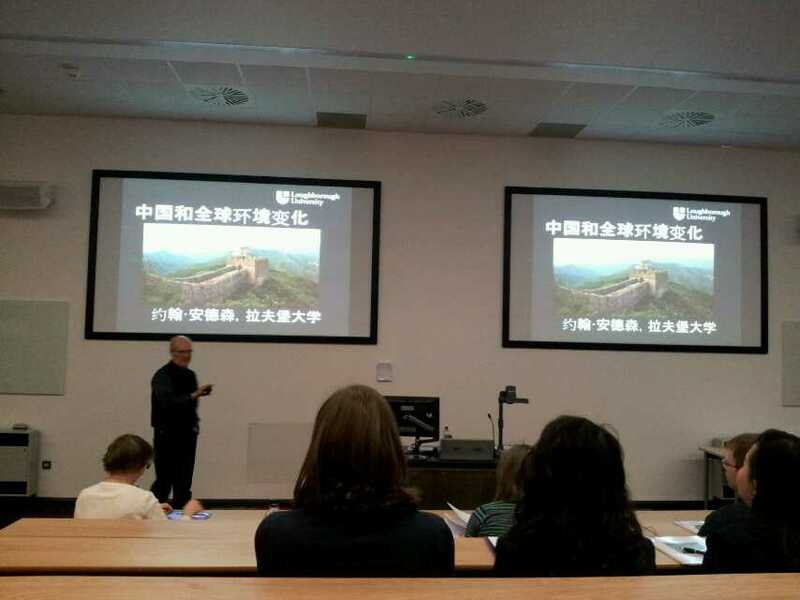 The presentation I enjoyed most is Professor John Anderson’s ‘China and Global Change’ (on the second day). I feel excited to look at China from a different angel. Professor John Anderson pointed out lots of problem in China, while showing his affection for the country. All the problems he pointed out are realistic, I admit it. The central government thought we can take the same way as the western took in the 20 century, but now it realizes that the damage to environment will be too huge to fix if we have the same way of developing (economy first, and then we will fix the environment). So it is taking action now. I was in Chine during Feb 2014, and in this month, several (7 or something like that) iron and steel plants and some cement hills in suburban Beijing had been torn down, to control the producing of steel in order to control the building of new houses, and to control the usage of coal in order to pollute the environment less. Although some action have been taken, I still think the problem is serious and I like the ending of Professor John Anderson’s presentation: if the Chinese continuing taking the same way as the western did, and if the West of China has the same developed level as the East of China, ‘WE ARE F**KED!’ I like how he deals with the conclusion and makes it sound more serious. The more serious the problem sounds, the worse the situation we are in, the central government will pay more attention to the environment. It was a very great presentation! And I am touched about Professor John Anderson’s feeling of China. He must love it and hate it! I realised my shortness of reading and dealing with geography journals, so I joined the publishing workshop, which was very helpful. 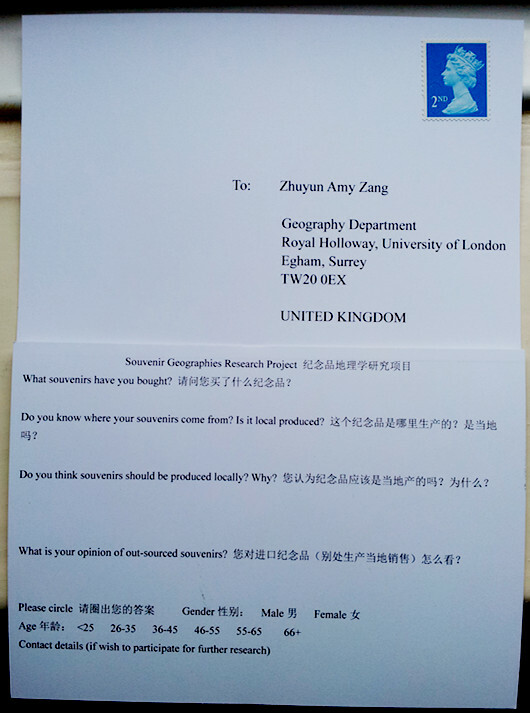 I have heard some ideas of my souvenir geographies project and found 4 participants who are will to join the research. 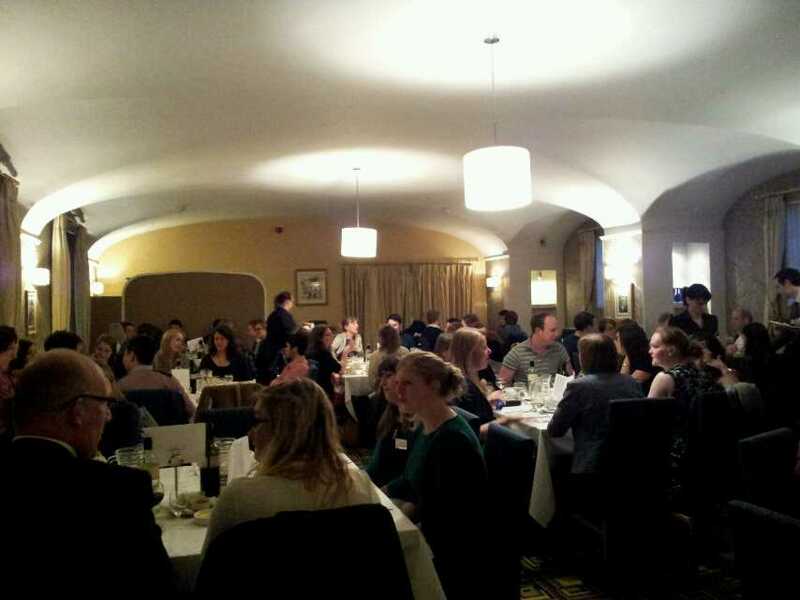 To sum up, there are a lot to take in from the conference and we have enjoyed it. So! After days of preparation, postcards for pilot field work are ready now. I have prepared two kinds of postcards: one is normal pictorial postcards as we see in any souvenir shop, and the other is customized. There are 20 postcards for each kind (well, the customized one has 24 of its kind, because of the print shop owner’s kindness XD ). This is a two sides pictorial postcard. 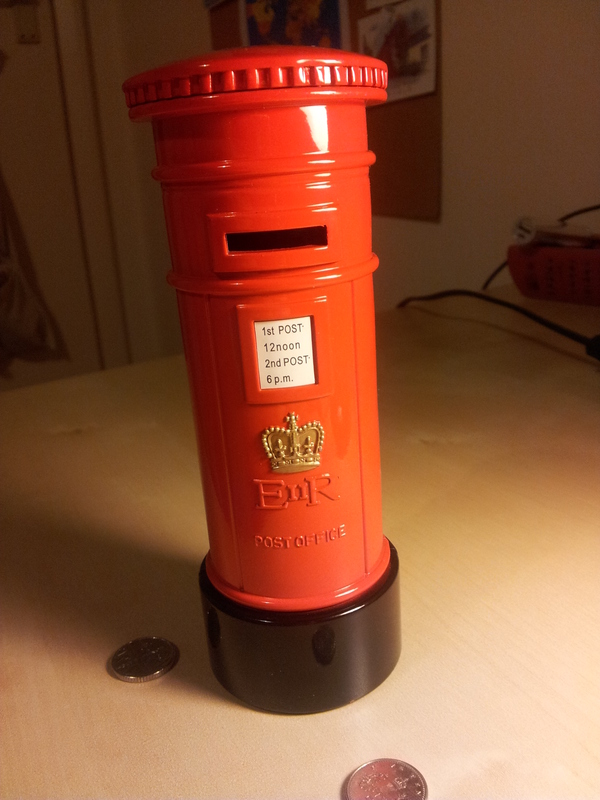 The pictorial side is kept as it is; while I put a questionnaire and my post address. There are several questions about the authenticity of souvenirs, and the questionnaire is tailored for tourists, who have limited time on the spot and I hope they can finish the questionnaire when they have time (e.g. in the bus or in their hotel rooms), and then they can send it back to me any time they feel like. The second set of my postcards are customized. 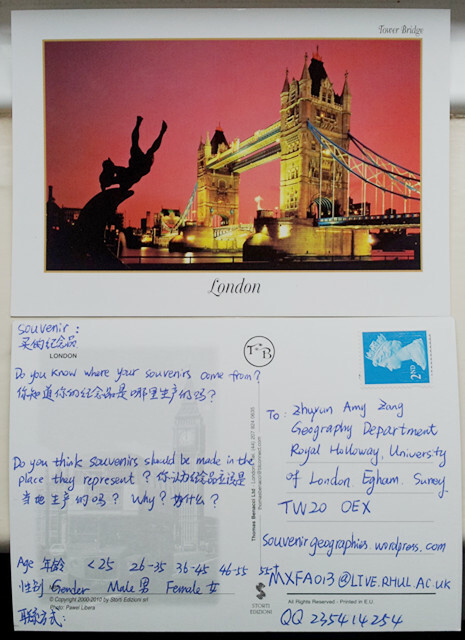 In the second kind of postcard, there is no picture and I moved the post address to the front, making it possible to have space for another question on the back. Comparing to the pictorial ones, the text only postcards are simpler and plainer. Maybe its simplicity and plaining will make the tourist want to keep them less, so I will have a better returning rate. Aim: come to find out a way to get into Baggage Claim Area, and interview passengers who are waiting for their baggage. Reason: Travellers have limited time when travelling; they tend to have no time to take interview and fill out a questionnaire, but when they are waiting for their baggage, they might want to spare a little time to talk with me. 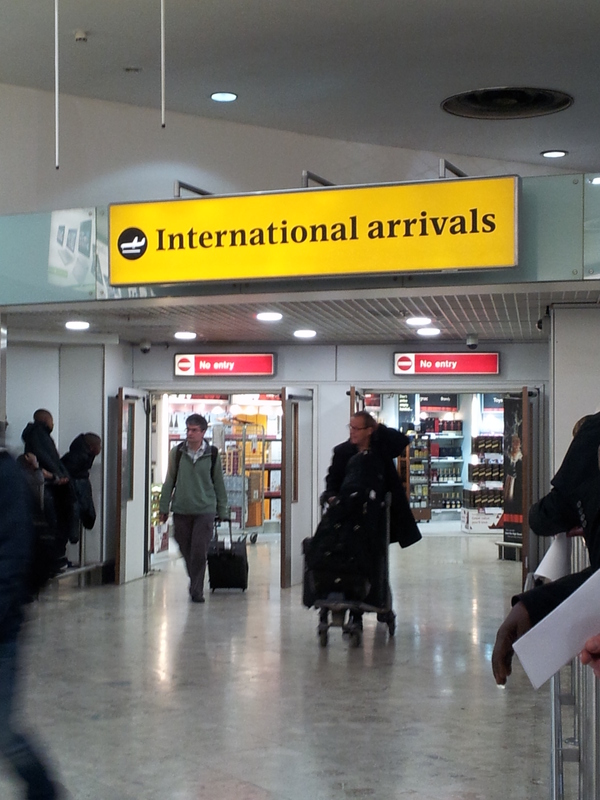 There are three floors in Heathrow Terminal 1 building. -1 Floor is for transportation like local buses, Underground and Heathrow Express; Ground Floor is for Arrivals; and First Floor is for Departures. I came to Ground Floor, walked towards the tunnel in which passengers are arriving from. There was a big red sign of ‘No Entry’ in front of the tunnel. I need to think of how to get to the Baggage Claim Area. There is an Information Desk in front of the tunnel, so I asked a staff near the desk. 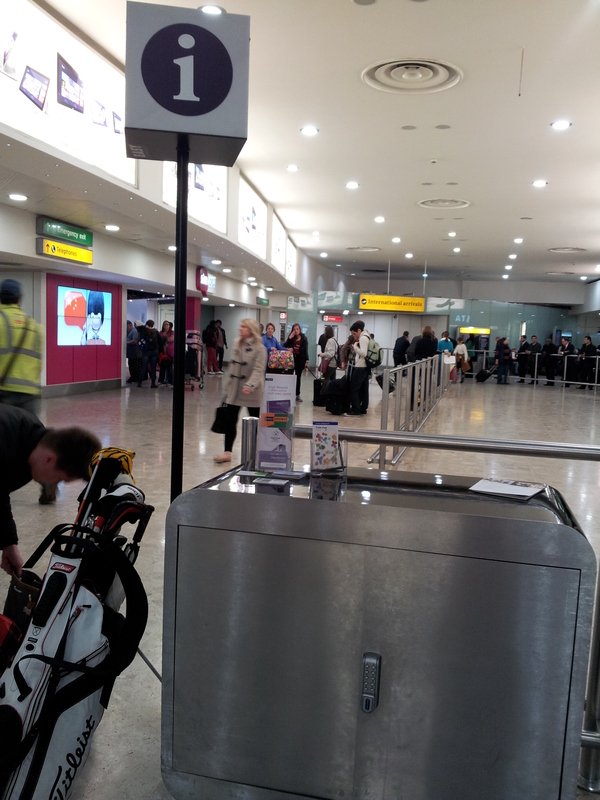 I clarified my identity and ask whether it is possible to have access to the Baggage Claim Area. He said I need to have the airport’s ID pass to get in there. I offered some conditions like can I get in there with some university letters or I can go there with a staff with me. The staff near the info desk said it might be possible but he was not sure. I was told go to upstairs which is the Departure Floor and advised to speak to Security. At this stage, this mess makes me rethink why I need to have access to the Baggage claim area. I might cause the passengers miss their luggage which they are waiting for. This is an disadvantage aspect. Plus they are in a new, strange/unfamiliar country, the passengers might not want to speak to anyone. Nobody has done a field work in baggage claim area, it might have a reason. But there are advantages. 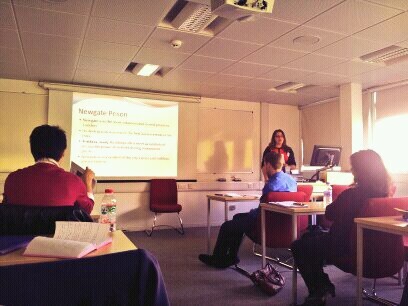 The participants for my research I am looking for are international travellers. Travellers normally have very limited time. When they are waiting for their luggage, they might want to have a char. 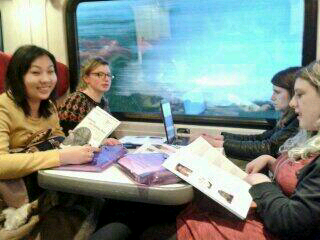 And it is a place where my best participants will gather: British going to Beijing and Chinese coming to London. 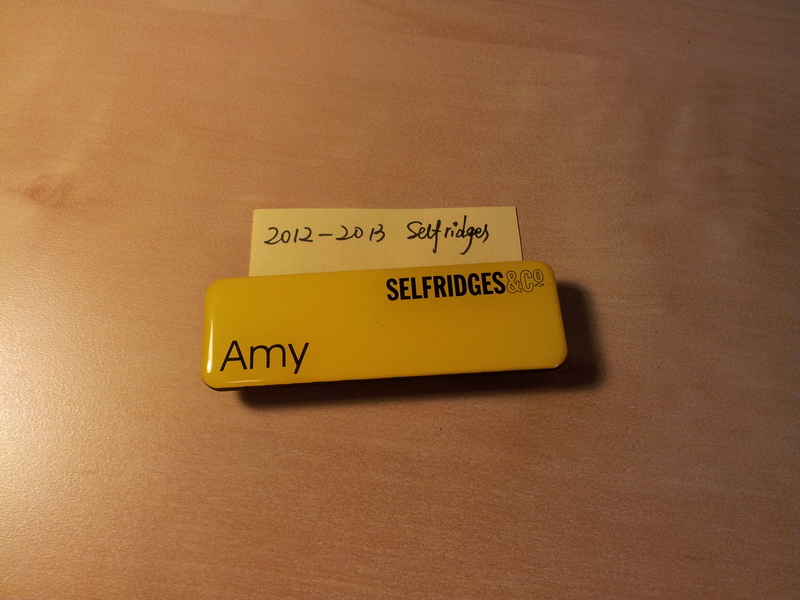 I can now 1) give up or 2) go to talk to the security. I chose the later and went upstairs. On the First Floor, I hang around the departure gates in front of security check, talked to the staff who was handing out transparent bags for on-board cosmetics. He turned out to be a person whose responsibility was just handing out bags… The staff near him redirected me to a corner where real security was. It is a woman, and after I explained what I want, she introduced me to her supervisor, Dan. After talking with Dan, I have two answers. The first is I can’t have access to the baggage claim area, not even if I offer university letters, or on the condition of having a staff with me. A person needs to hold a airport staff ID pass to go there and because of airport security control, no one else will be allowed in there. Secondly, I need to speak to the Media Department to have the permission of doing research in the airport. The info for Media Depart can be found on Heathrow’s website. When i was hanging around in the airport, there were several things caught my attention. 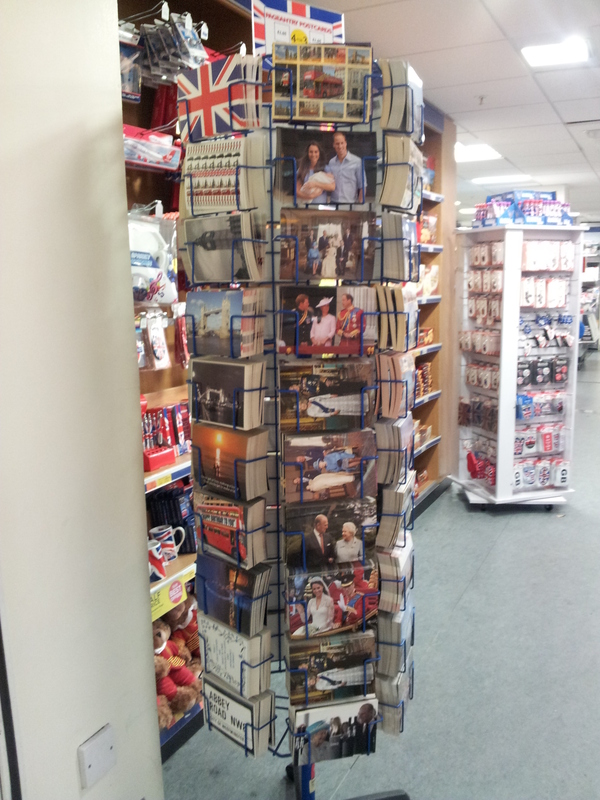 In the bookstore WH Smith (on First floor the departure hall), there is an area for souvenirs. Postcards are outstanding because their spacial arrangement is very clear. Postcards related to Royal family stay in a line, and natural scenery another. 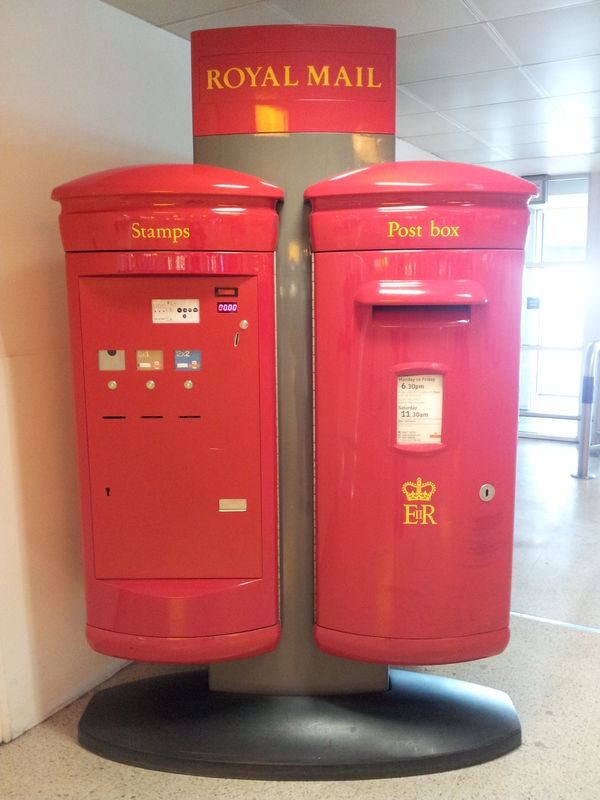 Saw a Royal mail stand near the souvenir area, which is very convenient for passengers to post the postcards they just bought. 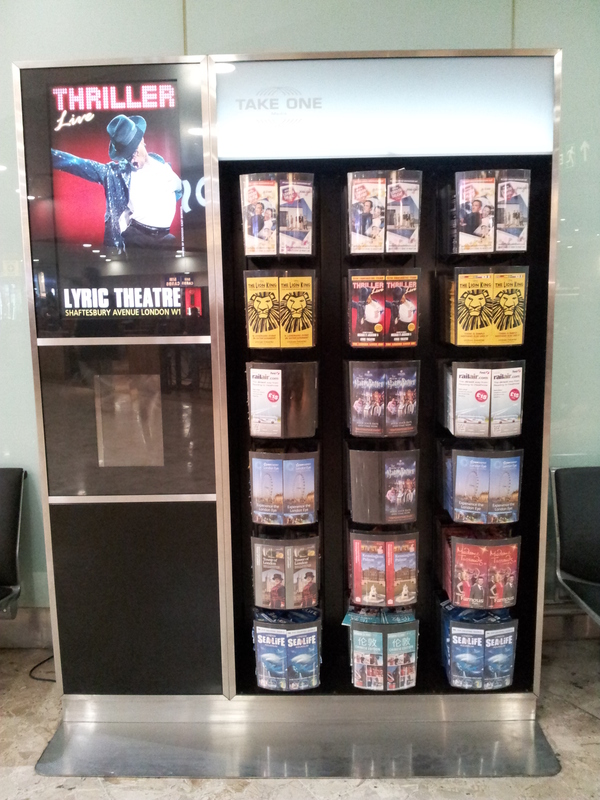 On the ground floor for Arrival, there is a maps (ads) stand near the arriving tunnel. 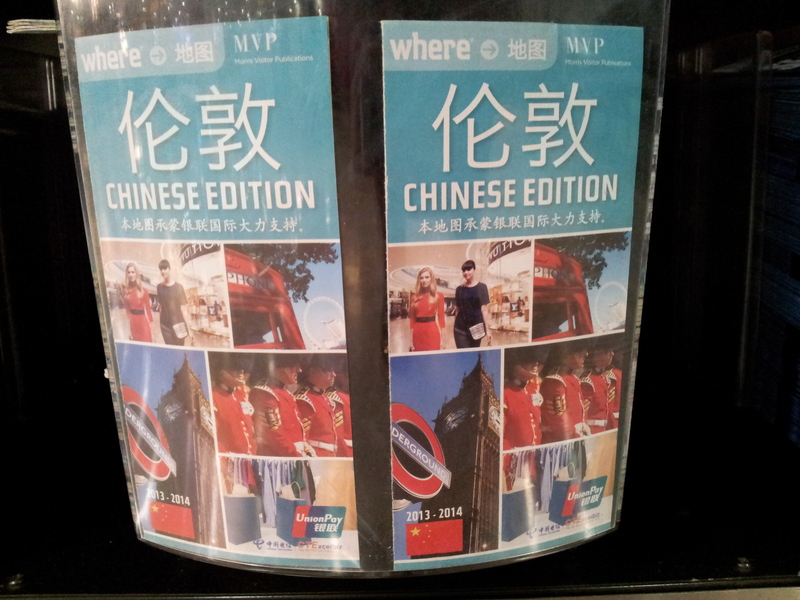 The maps and ads are in English and they are introducing tourist spots like theatre, London Eye, Kensington Palace, etc., and suddenly I found a Chinese Edition of this and in this map, shopping centres are marked out outstandingly. This map which specializing luxury shopping confirms my assumption that so many Chinese interest in luxury shopping and the reason might be the products are not just luxuries but also souvenirs from a Capital Western world. I saw many money exchange stands (Bureau de change) on this floor, and it occurred to me that foreign currency can be souvenirs as well. 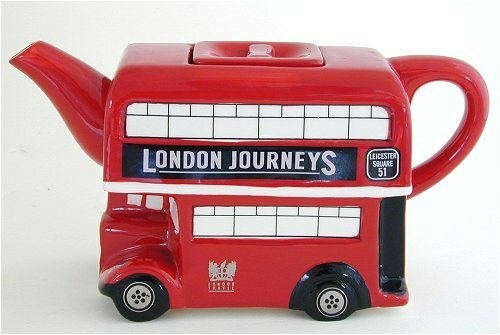 Small amount of cash and coins are kept from the journey (the amount is too small that the Bureau de change will not take it, they are forced to become souvenirs). When money stops moving, it doesn’t have the value of money, it became a new thing – banal souvenir (will talk more about this in the future) [Link to Marx’s Capital, on Money]. My first day of field work shows that I need to find alternative method of doing this research. I will go to try Chinese Embassy (where people get Chinese visas from), and talk to Chinese travel agencies and London travel agencies. When I was typing this, my first field work diary of polit field work, the idea of putting this into my blog hit me. So here we go. 🙂 Hope you enjoy reading and give me some advice if you have some. Today, some of Cultural Geography MA students, SCG PhD students and Geography Dept Staff from Royal Holloway went to have a visit to the sites behind Kew Garden. 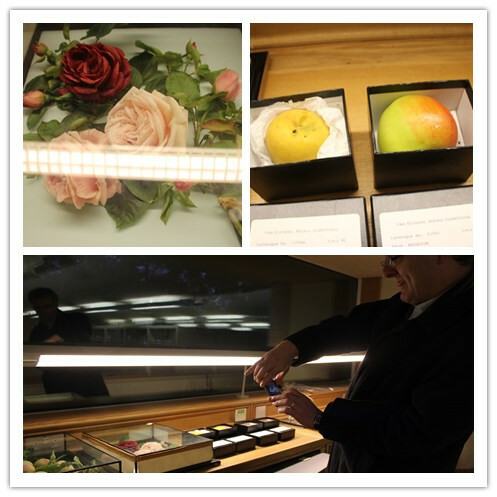 This visit focused on the contemporary management and uses of the historical botanical collections. 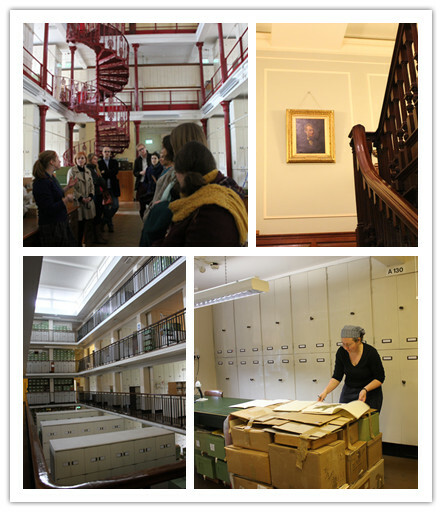 We visited the economic botany (plant artefacts), the herbarium (dried specimens) and the library and archives. 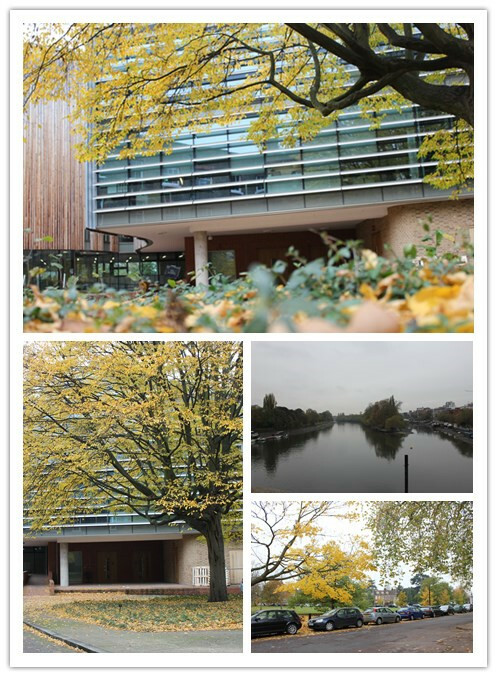 Kew is in a nice area, with beautiful neibourhood. In the old area of Kew’s herbarium collection, the building was built in the 19 century, and it is arranged like this to absorb more light and avoid use fire for lighting, to protect the collection from fire. 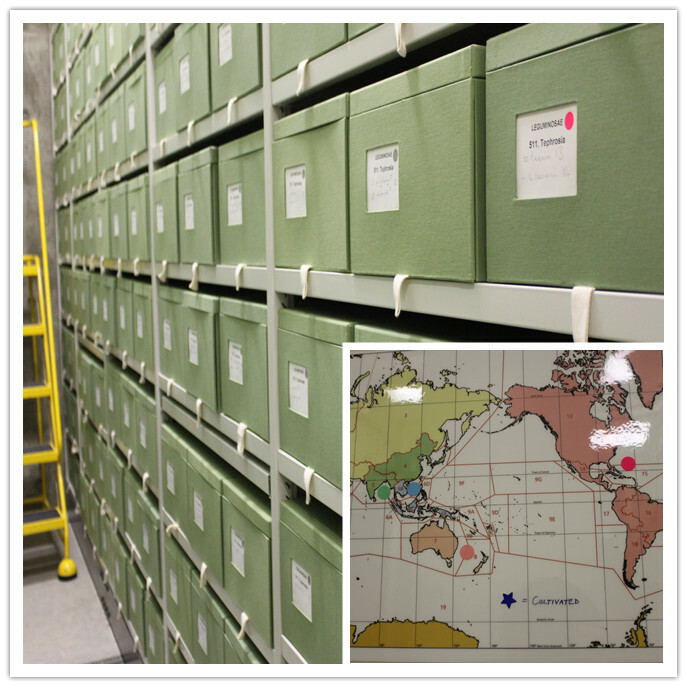 In Kew’s newer part of the herbarium collection, they use matching colour to show the specimens’ original location, making it easier and faster to find them. 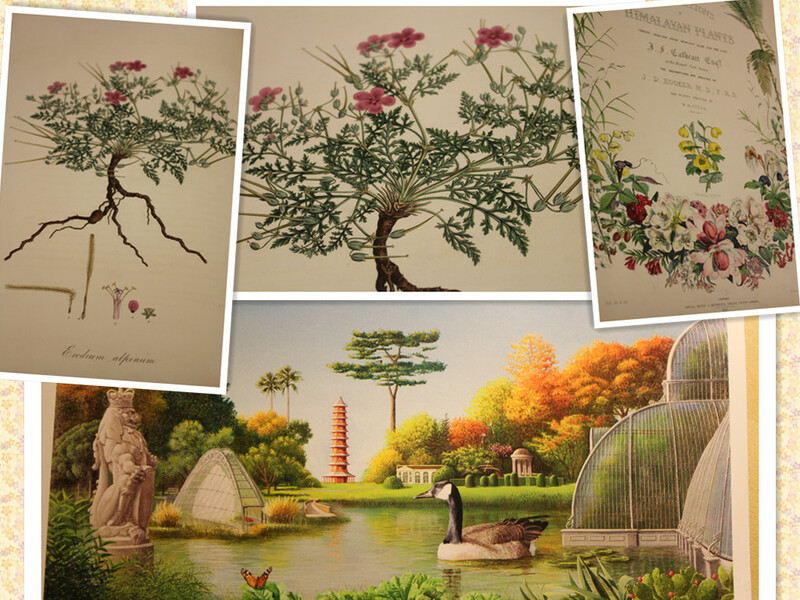 The upper picture is a postcard from Kew. The Postcard shows Harry Ruck, Kew’s packer and later storekeeper from 1912 to 1959, packing a Wardian case in the early 1950s. 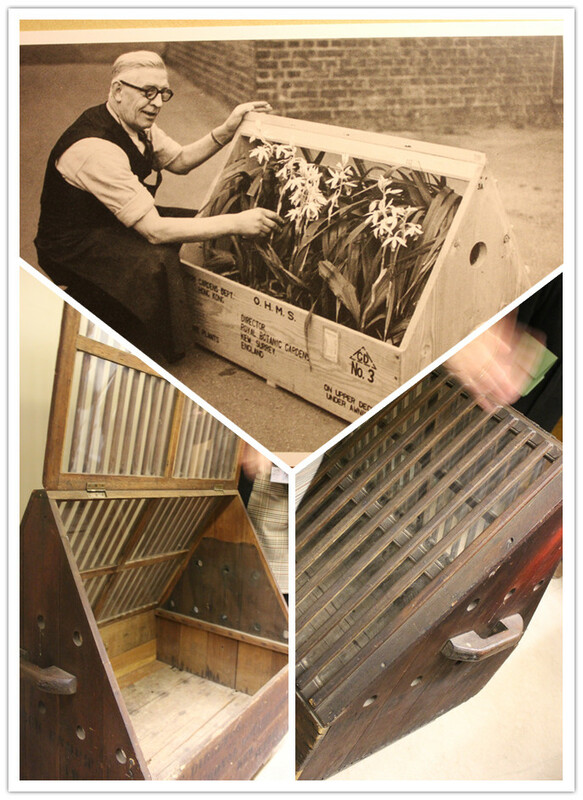 Wardian cases were used between the 1840s and 1960s to transport plants around the world. 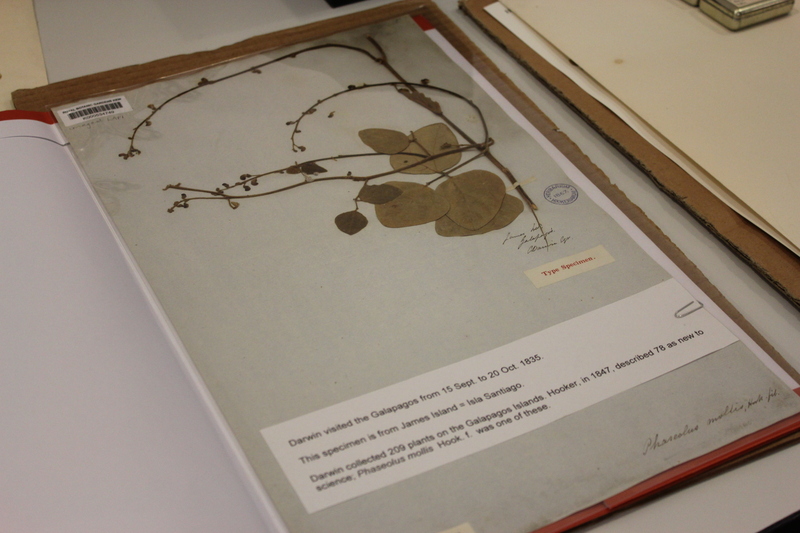 The rest two are photos of the Wardiam case from the economic botany collection.